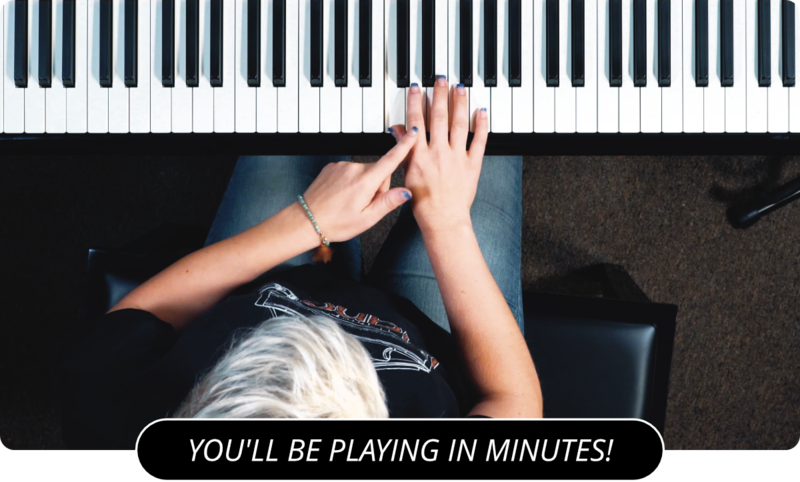 Learn How To Play Basic Time Signatures On The Piano! The most common time signature is 4/4. In fact it is so common that it is also referred to as common time. But what does 4/4 time mean? It means that there are four measures, and four beats in a measure. The number on top is the number of measures, and the number on the bottom can be thought of as a fraction. In this case it equals 1/4 notes. Another popular time signature is 3/4 time. Taking what we have learned we will see that this time signature has 3 quarter notes in each measure. This time signature is most famous for its use in waltzes. Yet another popular time signature is 6/8. So there are 6 beats per measure and each beat is played as eighth notes. The trick with 6/8 times is that it often sounds like two separate triplets in each measure. If you watch the video, you'll hear what I mean. There are other time signatures too. 7/8 has seven beats in a measure and each is an eighth note. There's 9/4, 12/4, 2/4, and even 4/2 time. That last one isn't so common, but consists of four beats in a measure with each one being a half note. So there you have a basic introduction to time signatures. As you see them in sheet music and use them in your playing, they should become more familiar to you. Next, you can review the Intermediate Piano Lessons below, or check out some other Beginner Piano Lessons .